Home Data Science Procurement Transformation Trending How IoT can revolutionize supply chain. Nowadays, technological innovations happen much faster than it ever had. Indeed, it took only a decade for a big portion of the world’s population to have internet in its pocket. And if you were born in the late 80’s like me, you probably remember the first “mobile phones” from Motorola or Nokia: nothing to compare to today’s smartphones. This innovation pace has also its impact on the industry! These technological innovations that we see in our everyday life found also their ways in factories, offices, trucks, ships, planes, and is completely reshaping the way business is conducted. While it enable companies to be much more efficient than it was just 10 years ago, it also opens everyone’s eyes on “what could be achieved but that is not in place yet”, resulting in new customer expectations to which each need to adapt. The Internet of Things, for example, fall into these innovations with tremendous potential to reshape our world on many facets and areas, supply chain included. Before to look into how IoT could impact the supply chain industry, let’s take a look at what IoT is exactly. IoT is mostly known today through revolutionary products that 10 years ago would be a good candidate for a sci-fi movie, such as the concept of “smart home” devices. How does it work? First of all, let’s take a look at what is exactly a smart home device. Put simply, it is composed of sensors, microprocessors, wireless radio components paired with an Application Specific Integrated Circuit (ASIC). Sensors capture your voice (the data) when you “speak to it”, the ASIC is the program that analyze your request and trigger the according “response” by communicating with other devices thanks to wireless radio components. Pretty simple presented that way! The point here is to present the broad range of applications it could have! 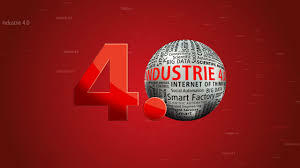 By extrapolating it to a factory or a warehouse for example, there is a lot of potential for connecting objects to each other in order to automate a response based on data collected, or providing stakeholders with access to data that would help driving better decisions. It operate on low power. The reason why these 3 characteristics are important is that it increase the range of capability of an IoT device in terms of life time (battery can last up to a decade) and range of communication (anywhere from 30 feet to more than 300 feet). Now that the background of IoT technology and how IoT devices work, let’s take a closer look at how it could impact the supply chain industry. IoT applied to the supply chain is forecasted to have the most potential for innovation. From warehouse management to logistic, the range of application is wide and the benefits of it can significantly improve operational efficiency. For example, sensors on warehouse shelves could detect in real-time a resource consumption and trigger an automatic order for refill, with limited human intervention. A little bit like the new concept of Amazon Go, or the smart grocery shop, where IoT devices detect what items a client takes home and automatically make the payment, without human intervention. This concept would allow a company to reduce significantly the amount of time needed for a given task, reduce the risk of shortage, by ultimately optimizing its supply-chain processes. All that using devices designed for minimum maintenance needs, as explained in the previous paragraph. In summary, IoT technology improve communication by providing real-time data to any who involved in the supply chain process. This new real-time data availability will allow internal and external stakeholder to fill communication gaps and drive faster and more efficient decisions. In other words, today’s new technologies are opening opportunities to redefine processes through innovation. IoT is showing tremendous potential for both customer and industry applications. A little bit like when computers were introduced in the market! A piece of advice: stay tuned with IoT!